This sharp little cockade is approximately 2.5" wide and has a silver-plated pin back. 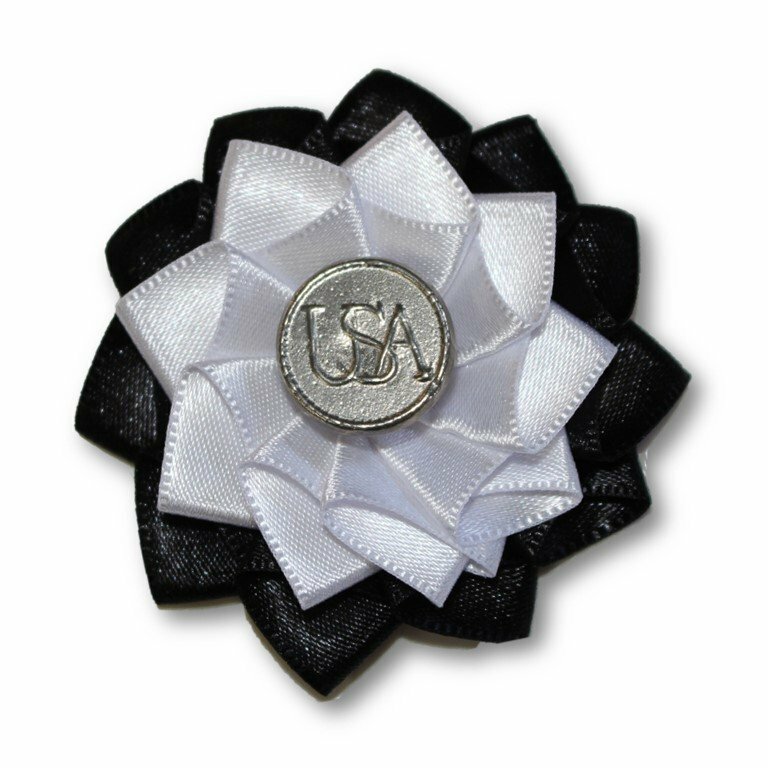 Black and white silk and a pewter USA button make this a beautiful and authentic Revolutionary War cockade. When the United States signed the Treaty of Alliance with France on February 6, 1778, French troops entered the American Revolutionary War. At first their participation was mostly on the seas but by 1779 they were landing troops on American soil. The national cockade of France was white. Traditionally, Americans had worn black cockades. In 1780, as a symbol of the two nations’ alliance, General George Washington established that the American military cockade would be an Alliance Cockade – black with a white center. Many of the French troops likewise wore an Alliance Cockade of white with a black center.